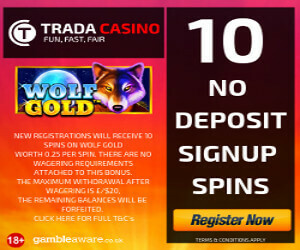 FunCasino Review 11 No Deposit Freespins - Sign up today! FunCasino is a quite new, colorful and funny casino. It was opened in the end of 2017. Funny figures and happy colors, orange, red, green, blue and palms contribute to a “funny” mood. It is a good allround casino were you find lots of different games, many from NetEnt. They have something, that they call Fun points, each time you make a deposit you get these points, which you can change to bonuses or money. They regularly have campaigns and tournaments. 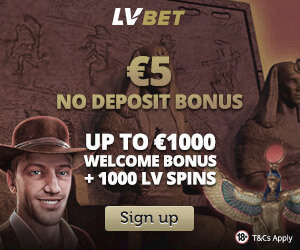 They have an exclusive campaign and news-page, there you find different offers like 70 freespins on deposit for 30 euro. Right now you can read about Swedish Monica under the campaign and news page, who won 50.000 euro the 19th of May 2018 by winning the Major jackpot on the NetEnt game Mega Fortune Dreams. 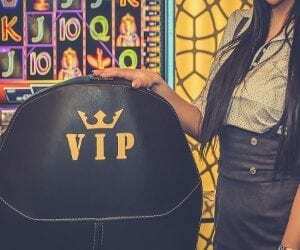 FunCasino is a safe and secure casino, which we like and it is really fun! 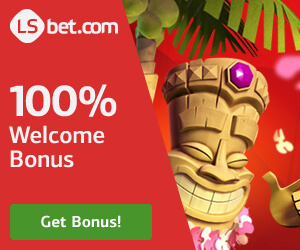 We think the only negative thing is that they have a high wager on their bonuses,(50x). English, Norwegian Swedish, German and Finnish support. Please be advised that German and Finnish support is limited. All amounts mentioned below are in EUR currency. Equivalents in other currencies apply. Availability of payment and withdrawal methods may vary depending on currency and country. Visa: minimum deposit €10 and maximum €1000 per transaction. Shows on account instantly. Mastercard: minimum deposit €10 and maximum €1000 per transaction. Shows on account instantly. Sofort: minimum deposit €10 and maximum €1000 per transaction. Shows on account instantly. Skrill: minimum deposit €10 and maximum €10,000 per transaction. Shows on account instantly. Neteller: minimum deposit €10 and maximum €10,000 per transaction. Shows on account instantly. Paysafecard: minimum deposit €10 and maximum €250 per transaction. Shows on account instantly. EcoPayz: minimum deposit €/$/£/CHF10 or 100kr/nok/zar or 1000 inr and maximum €/$/£/CHF1000 or 10,000kr/nok/zar or 100,000 inr per transaction. Shows on account instantly. Bank transfer: minimum €20 and maximum €5,000 daily limit. Takes up to 3-5 days to process and show on account. They have a VIP-program, which they tailor after your wishes. You will receive some additional offers. Players who reside in the Australia, Holland, USA, France, Estonia, Italy, Portugal, Spain, Romania, Russia, Turkey, Afghanistan, Albania, Algeria, Angola, Bulgaria, Cambodia, Czech Republic, Ecuador, Guyana, Hong Kong, Hungary, Indonesia, Iran, Iraq, Israel, Kuwait, Lao, Latvia, Mexico, Myanmar, Namibia, Nicaragua, North Korea, Pakistan, Panama, Papua New Guinea, Philippines, Singapore, South Korea, Sudan, Syria, Taiwan, Uganda, Yemen or Zimbabwe cannot register for an Account at funcasino.com. Want to have some fun? Why not try the cool new gaming company, Fun Casino?